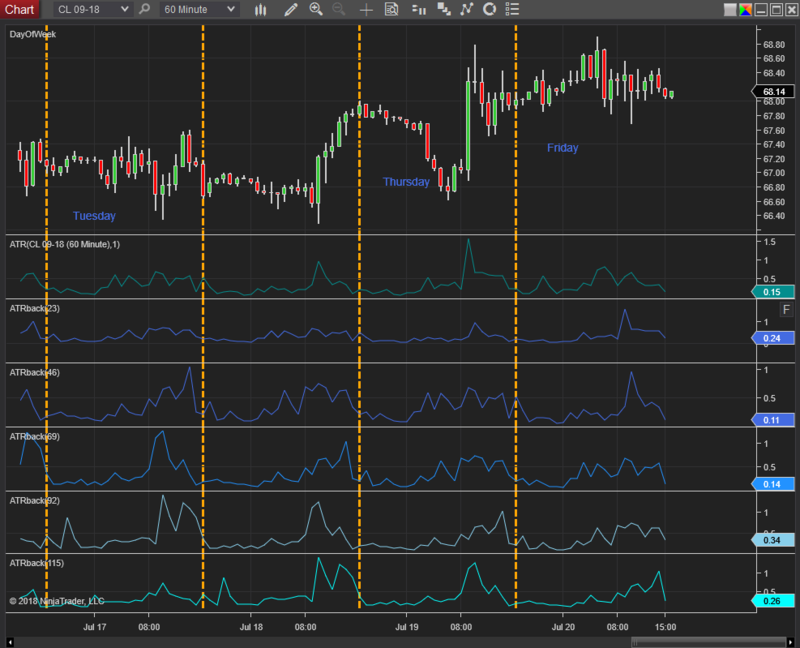 Hello Traders, there are certain time slots during the day where the volatility increases. This could be due to news releases at certain times or institutional adjustments after the &apos;morning meetings&apos;. This indicator is a modification of the ATR indicator that makes the average of the ATR 1 (range of one candle) and allows you to set how many candles back to evaluate. For simplicity the candles in the pic are set to 60minutes and the 4 instances of ATRback are set to look back 23, 46, 69, and 92 candles ( 1,2,3,4 trade days back) so you can spot the time slots where the range of the 1 hour candles tend to increase. Another application might be to set the lookback in intervals of a week, so you would be looking at that day of the week 1,2,3,4,weeks back.